It is a well-known fact now that the Housing and Mortgage industry can never be absolutely stable and will always see highs and lows all the time. The same thing happened with the start of 2013. Our last blog specifically discussed the mortgage statistics in first quarter. It showed progress in few areas but then there were “lows” to compromise the situation. An increase in home prices in the first half of 2013 affected the number of homeowners with negative equity, so much that it fell dramatically by 32%. The number of underwater borrowers went down from 9.6 million in the first quarter to 7.1 million in the second quarter. A major setback in the second quarter got the mortgage industry in a tight position followed by a Government Shutdown. Among those 7.1 million underwater borrowers, 4.3 million are having only one mortgage and the rest of them have junior lien as well along with negative equity. According to the insights from Core Logic, there are 52% of the properties in negative equity and are valued at less than $100,000, (those with a junior lien). In a normal healthy market, the negative equity rate ranges between 3%-5% but the second quarter saw 14.5% homeowners underwater. “The next 10% point drop in negative equity is going to be the “hardest,” and the reduction in negative equity will be slow going forward, warned Core Logic’s chief economist Mark Fleming. He has also stated that most of the homeowners are currently in rundown properties with values around $70,000 and there are hardly any buyers left for such properties. A look at the second quarter gives jitters about the progress of housing and mortgage industry but stay tuned with our blogs covering “Housing Industry in 2013” for we know that third quarter did show some profits and worked out well for both the sides. Comment on our blog for your suggestions or any insight that you feel should be shared on our blog. 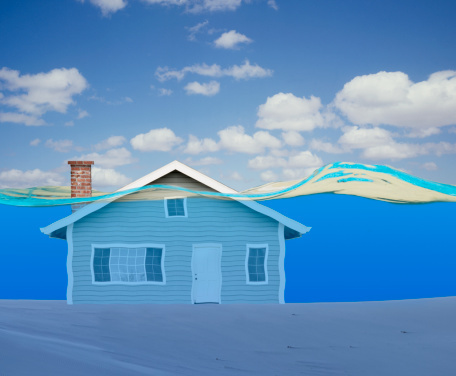 This entry was posted in Home Mortgage, Trends and tagged Housing Trends, Q2 2013, Underwater Mortgage. Bookmark the permalink.